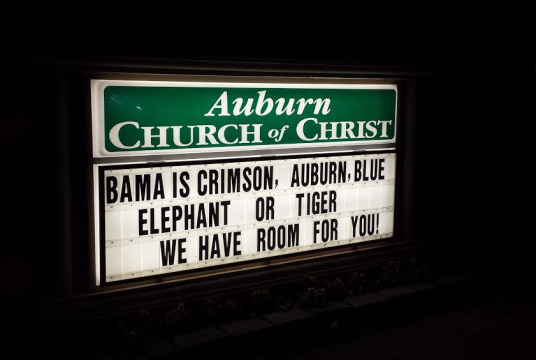 The Auburn Church of Christ marquee is back and it doesn’t care who you are. We were kind of hoping for another sermon advertisement. “This Sunday’s message: PsAUlms 34:28” or maybe “God will give you a second chance.” But I guess this is nice, too. You still can’t get to heaven in a red canoe, though.